The 2018 election is already started, while we do not see actual votes for the seats, we are seeing the primaries where the placement of candidates is decided. This will be the first of many articles where we explore the upcoming elections, look at the people running, and give an analysis of what we think will happen. As I state in the article, I am no expert, but then what is an expert? Seems the last election we learned that these “experts” were not such experts after all, so what does it hurt to have a novice look at this? We were told a landslide for Clinton in the election, turned out the only votes that mattered, the electoral college, Trump won that in a landslide. Primaries have been ongoing for a couple of weeks now, one thing we see with them, and with representatives from both the House and Senate is that Never Trumper’s aren’t doing well, either they are facing serious challenges in the primaries or have decided not to run knowing they have little or no chance of being reelected. The latest casualty in this trend is incumbent Republican South Carolina Rep. Mark Sanford, who ignored the will of the people, decided instead to attack Trump and be one of the vocal critics of Trump, this has landed him in hot water. In the latest primaries, he has been ousted to a new face in federal politics, state Rep. Katie Arrington. Much of this was brought upon himself by his criticisms of Trump, going so far as to blame the baseball charity game shootings on the president, saying he somehow is the cause for this shooting. In an area that voted for Trump this did not go unnoticed, then add to this Trump’s tweets, his fate was for the most part sealed. Much of this is a credit to Rep. Arrington and her unflinching support of Trump, in contrast to Rep. Sanford whose never-ending attacks on Trump never sat well with the people who voted for him. She will next face her Democratic challenger in the 2018 election this fall. We saw a continuation of this trend in NV, VA, and SC, anti-trump candidates losing out to supporters. 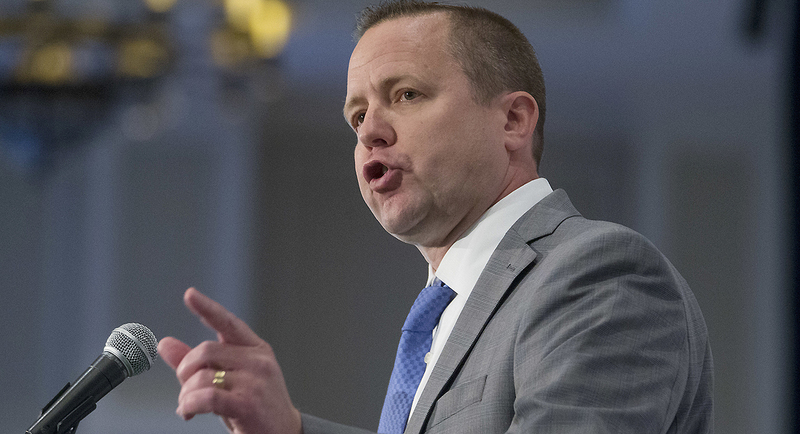 The most interesting is pro-Trump Senate candidate Corey Stewart who has vowed to take on Rep. Cain, Clinton’s running mate in the last election, the firebrand who has promised to wage a “vicious” and “ruthless” fight against incumbent Sen. Tim Kaine. Also in Virginia, after well-funded opposition to State Sen. Jennifer Wexton, who had claims she was not conservative enough, but a supporter of Trump, won that primary against six challengers to go on and take the GOP nomination. She will have a more contentious fight in November, the DNC has already looked to her district as a possible district to strip from the GOP and is behind the Democratic challenger. What will also turn out to be an exciting race is the one in South Carolina, who in spite of revolutions of spousal abuse still secured the Democratic nominations, it will be interesting to see how the #metoo responds to this or is this type of thing acceptable if the person is running against a GOP candidate? I think this seat will be very vulnerable to the left come November when the 2018 election is held. Danny Tarkanian from Nevada, another Trump supported candidate also won the nod from the party. Danny Tarkanian, the son of legendary UNLV basketball coach Jerry Tarkanian, defeated Scott Hammond and television reporter Michelle Mortensen. He was running for a different seat, switched after a personal call from Trump asking him to not challenge Sen. Dean Heller, a Trump supporter in the US Senate, he obliged and with support from Trump won the right to now run against the Democrats in the 2018 election this fall. We see the election heating up; we have two sides, one side seems to be getting rid of many of the never Trump crowd in many areas of the nation, putting in their place a pro -Trump candidate willing to work with Trump for the GOP. The election this fall we see between two opposing ideas; the people willing to work with Trump seem to be winning their nomination, the 2018 election will turn out to be if you support the Trump agenda, or if the DNC can get enough of their voters out to vote for everyone that is anti-Trump, which is the DNC in a nutshell. I am no election expert, but I called this last election for Trump in spite of being mocked and told I am acting delusional, I think the same thing will happen this election. The Democrats are hoping to pick up .between 5 to 10 seats in the Senate in the 2018 election, I am predicting they will lose at least 5; if they do this will put the Senate at a minimum of 57 – 41 standing, while there are two independents, that would still put the votes at 57 – 43 (the independents for the most part vote with the DNC). If the Senate can pick up three more seats, or 8 seats, they will then have the supermajority needed. In the House there is now a 231 – 201 split, this is all that is needed to get the house to pass things through, the house can afford to lose 14 seats and still not find their agenda blocked but would discover things tightened up considerably if there is opposition within their ranks, they would then have to look at getting one more from the other side of the Isle to join in. I think the house will lose seats to the Democrats, but I think the 24 seats they are pushing for in the 2018 elections is way too much, I think they will pick up at most 5 or 6 seats, this will be enough to tighten things up, but not do anything to push their agenda. If this turns out the way I think it will be, the House will have a 225-207 GOP majority, with this they will have the votes needed to offset the 2 or 3 that may wish to jump ship on bills they don’t like. If we think the reaction by the left was terrible during the Trump win, you will see far more anger from them if the mid-term does not go the way they think it is going to be. If they lose and gather much lower wins then they expect in the 2018 election, I think you will see depression and then anger, this will carry through to the 2020 elections. As Trump’s approval ratings are improving due to the economy is picking up with jobs being filled and unemployment continues to drop, you will see anger turn to desperation. Personally, don’t care, they can try to start a civil war as they threaten, not sure what they are going to do, throw words at us? In the end the DNC will find out what we already know, the majority of Americans are not far left or far right, they are either slightly to the right or left from center, as the left moves further and further to the extreme left, the GOP seems to be moving towards the center. As they do this their appeal to the independents will grow, this is what Trump has brought and taught, and at this, point the DNC has not yet figured this out or are ignoring the lesson all to gather, so they keep moving further and further to the left, not understanding why they are losing support. If they continue this will not be an anomaly, this will turn into a trend. One can only hope that they don’t figure this out in the 2018 election, sure not in 2020, or 2022, this will be much better for the rest of this nation.